“Look” exclaims Kamil. “No hooligans!” He’s just picked us up outside our hostel close to the Kremlin in Nizhny Novgorod. With insane mark-ups being slapped on taxi fares for the duration of the World Cup, Yandex.taxi – Russia’s ride-hailing app of choice – is a godsend. They generally arrive in minutes and the drivers are diverse bunch, providing a snapshot into ethnic Russia. 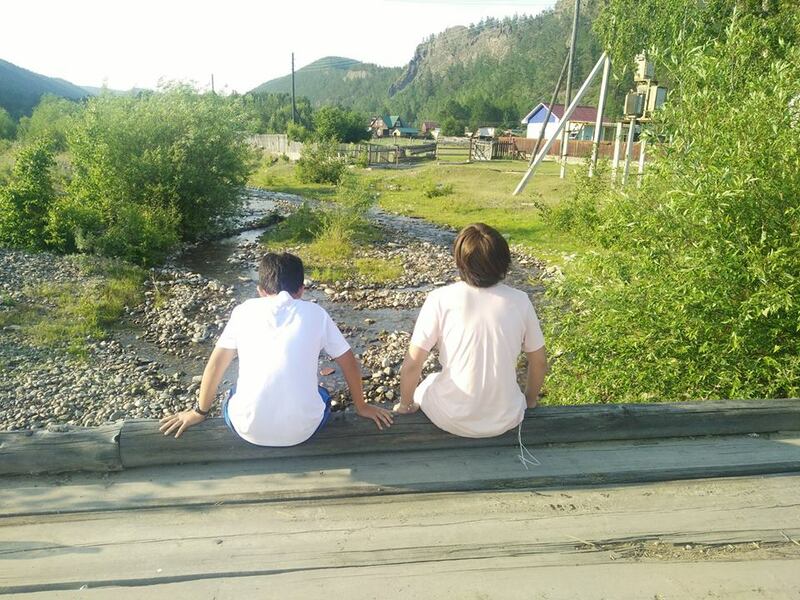 From Buryats to Belarussians, we run the gamut. Soon, Kamil lapses into Russian, which – using the only bit of Russian we do speak, we tell him we don’t. Yet, in a manner remarkably similar to the English tradition of simply repeating things more slowly and loudly – he seems determined to bludgeon us into comprehension. “Tofiq Bahramov,” he says. “TO-FIQ BAH-RA-MOV!” Suddenly I twig: The Russian Linesman! In 2004, when England drew Azerbaijan in a World Cup qualifier, Hurst attended a ceremony in Bahramov’s honour at the national stadium in Baku, which was renamed after the man himself. 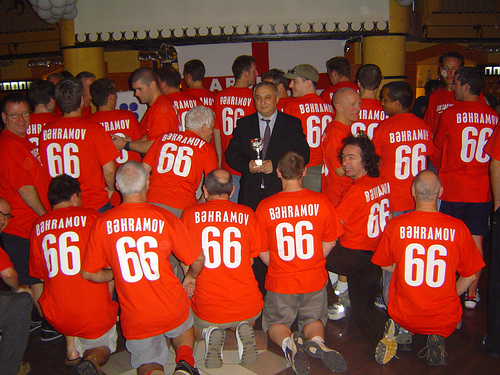 A statue of Bahramov was unveiled and, donning shirts with his name and the number 66 on them. an England supporters group met the late ref’s son. The English affection for Bahramov has been reciprocated by his descendants. “We’re all big England fans and hope they win the World Cup again this year,” his grandson and namesake told The Sun ahead of England’s Group G opener with Tunisia on 19 June. England fans don shirts with with Tofiq’s surname and the year of our one and only World Cup title on the back as they meet his son Bahram Bahramov in 2006. The village lagboat moaning a wounded-dog lament somewhere in the dark, as I creep along the muddy lane to Sasha’s cottage just before kick-off at 2 a.m. He has already showed me how to work the spring-latch contraption on the wooden gate but I still end up bunking over the fence. An avuncular fellow, with a thick salt-and-pepper moustache, Sasha greets me in a musty annex to the main building, then promptly flops onto a camp bed and motions me to a sofa. We drink beer and cheap wine as England’s second-string take on their Belgian counterparts on a small TV perched on a dresser in the corner. At half time, Sasha shows me pictures of his family and the village in winter, his granddaughter driving a quad through the snow in the front yard, his own larger four-by-four out on the frozen lake. With the game offering little in the way excitement, Sasha begins to reflect on the English stars of the past. He speaks no English and I no Russian but we just throw out and confirm names. “Gascoigne, Vaddle, Hoddle,” he offers. Then he’s back to England, this time ’66. “Hurst, Bobby Charlton, Bobby Moore.” For a moment, he looks puzzled, reaching for a name that won’t come. He gestures, pushing the flat of his hand towards the floor to indicate diminutive stature, then sitting up in the bed, he bounces up and down, dancing an an odd jig with his shoulders. It’s not just the Russians, either. At our Nizhny hostel, Morgan, a young Frenchman who has just finished stint as a teaching assistant in Liverpool, says he feels a good vibe around this current set of players. “England are now cool,” he says in amazement. Even the old nemeses, are in on the act. Guillermo, craggy, a middled-aged Argentine agrees with Morgan’s assessment. “Vamos, England!” he writes in our book. “England-Belgium final.” When I find myself a few roubles short after some afternoon beers in the dining cart of a Trans-Siberian train, a young man calls over from another table, “Hey, it’s OK, my friend will pay. He likes England. They’re his favourite team.” I ask where they are from. “Argentina,” he replies to chuckles the from the other passengers – an assortment of nationalities. Does this mean England are suddenly everyone’s other team? Of course not. History is against us. Almost three decades of, at best, boorish behaviour and drunken violence, at worst, has sullied the any reputation we may have ever enjoyed. And even when we’re not acting up, there is still a widespread belief that England’s inflated, misplaced sense of its own importance in the postcolonial world has extended to its players, whose self-belief has not always been commensurate with their ability. On the eve of the semifinal with Croatia, social media is awash with the usual accusations of English arrogance. Fans of various nationalities are scathing about the perceived overconfidence from some sections of the media. It’s hard to convince them that the tub-thumping jingoism of The Sun does not represent the views of all England fans or that the paper’s puntastic headlines are not to be taken completely seriously (the “Go Kane” gag before the Colombia quarter earned a rebuke from that country’s ambassador). Fans of all nationalities were looking for tickets or just lapping up the atmosphere outside the Luzhniki Stadium for the England-Croatia semi on 11 July, 2018. 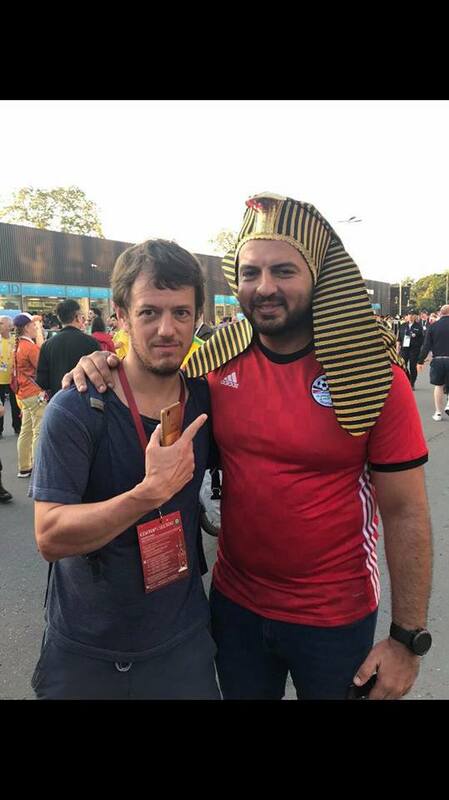 Pharoah play to this Egyptian fella for hanging around for the whole tourney after his team went home at the group stage. This was their first World Cup since Italy 1990 when they lost 1-0 to us in the group stages, defender Mark Wright heading the winning goal. Ten years ago, while being ejected from a bar in Riga just because I happened to be standing next to a group of aggro Man United fans, I would have agreed with him. “That’s not my problem,” the manager told me when I protested. “Why don’t you ask your countrymen why they behave like that?” Yet, this time round, even my Scots pals had to try extra hard to hate England. 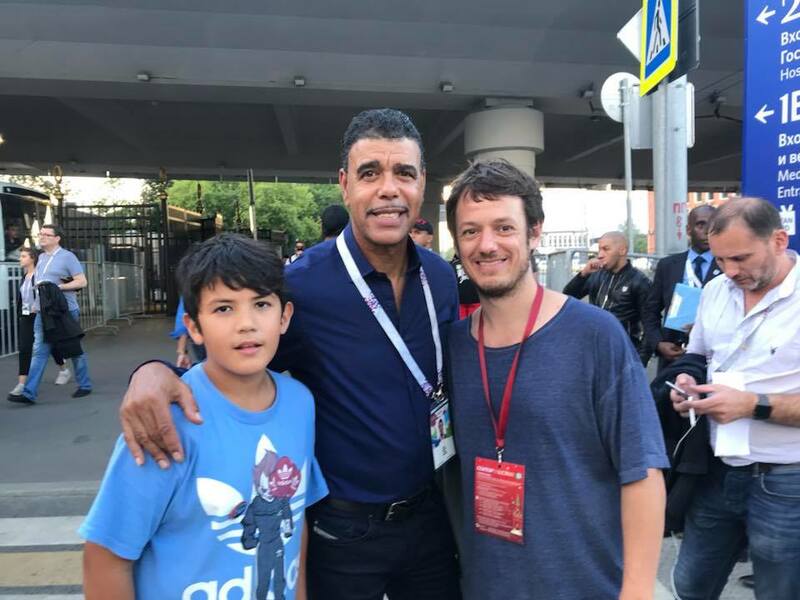 Perhaps the most delightful reaction we encounter during our three weeks in Russia comes en route to Moscow’s Luzhniki Stadium on the afternoon of the semi with Croatia. We’re outside Volgogradsky Prospekt metro station, close to where we’ve been staying, a few stops out of town on the purple line, when we catch the eye of an shabbily dressed old man, rummaging through the bins for dog-ends. There were all kinds of hangers-on outside the stadium! 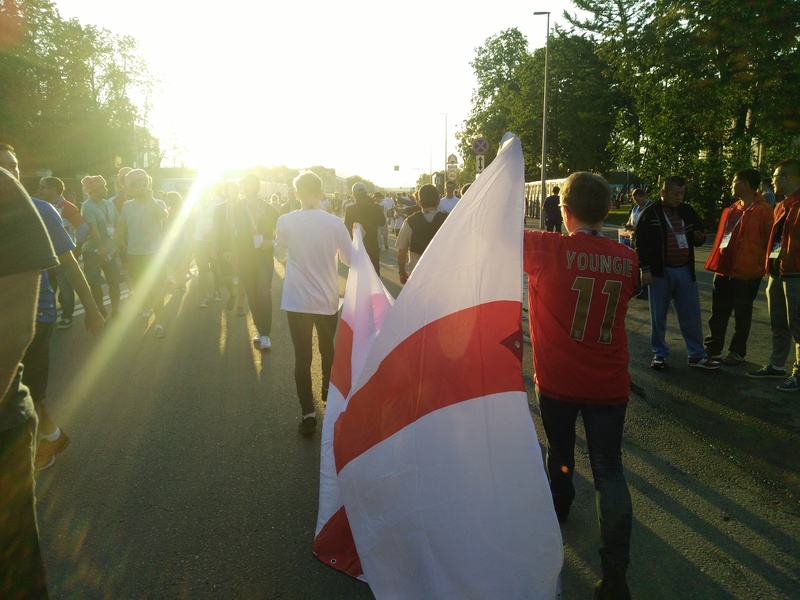 It wasn’t – it didn’t, but England left the tournament with an optimism and sense of satisfaction that, with the exception of Euro ’96, I cannot remember having felt before. Yes, Luka Modric’s post- match barbs at the “disrespectful” way that the press “underestimated” Croatia rankled somewhat but they certainly didn’t reflect the view of the majority. Instead, they were proof that the old image of England will still take some time to shake off. With international service resuming in the form of the nascent UEFA Nations League this weekend, let’s hope Gareth Southgate’s team can build, not just on the performance side (Saturday’s 2-1 loss to Spain was reality check), but also on the love from Russia. Forget the old Millwall ditty: it’s actually nice to be liked. Great journal of your time away; I think I would have really enjoyed it too. I always had a feeling the Russkis liked England – for better or for worse – because of the sheer knowledge they have of us and indeed the jokes they make with certain perceived characteristics of our culture familiar to them whether they are true or not. As for Spain, the officials should be using VAR if they are used it in the World Cup, and therefore allowed the goal they gave us initially, right at the death. I think Spain was better on the night but they too should have secured the game instead of relying on some dodgy refereeing decision. This post doesn’t mention the well-known Russian enthusiasm for English cathedrals and therefore must be fake news. Cheers Faf – yes I definitely think you would have liked Russian people: generally initially quite distant and cold but once you engage them, they really warm up. Completely agree about VAR: the griping at the WC (Morocco sticks in the mind) is because players are just not used to it. Yes, it can seem harsh (I felt very sorry for them as they played well and lost in a soul-crushing manner) but it was the right decision and would have been harsher had the original call not been overturned. It needs to be universal now. Once it’s in effect everywhere, players and managers will just have to deal with it!